Discover The Highlights Of The Month For Aries! March is packed with career growth opportunities meant especially for you, Aries. You won’t be able to spare the time for entertainment and other activities, but since it is really a one-in-a-million chance to climb the professional ladder, you’d better focus on work and put fun off till a later date. Planets will align to give you the confidence to act, to lead the way, and to be totally irresistible. You’ll manage to find your significant other or reinforce your relationship this March. Follow your ambition, but, due to retrograde Mercury, stay on the lookout for obstacles and be ready to edit your plans slightly in the last week of March.  The best astrological stress relief tips for Aries.